NOW ON AMAZON SELF-PUBLISHED (CREATESPACE) AND IN FINE METTLE! This is a new translation of Laozi’s Tao-te Ching (The Book of the Way and its Power) the foundation text of Taoism. I also include two original commentaries, one popular and the other scholarly. The earliest was penned by the ‘Old Man who Lived up the River’ and represents the folk tradition of the book. The second is by the early philosopher Wangbi. 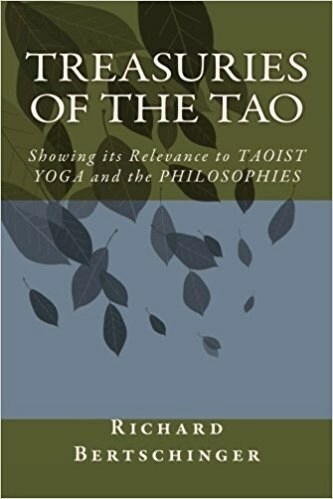 The first is a guide to qigong…or Taoist yoga, while the second is the earliest exposition of the Tao-te Ching’s philosophy of ‘being’ and ‘non-being’. These gentle philosophies turn away from the world’s troubles to deep the inner life. They crystallise all that is best in the Chinese mind. They reveal a message of harmony, and naturalness in action, the rejection of pretense and artificiality, and a simple life in a simple environment. The two commentaries are newly rendered into English and put directly after the original text, in the traditional manner. There is a short note to each chapter describing its content and textual variations. For ease of reading it is presented in Two Volumes bound in one Book: 1:The Way; 2: The Power.